An advertising agency's holiday office party turns from celebration to horror when the owner of the company is found murdered the morning after their latest riotous shindig. It is up to feisty amateur sleuth Hope Hadley to figure out who the killer is before the holidays are ruined. Can Hope, with her brither's help solblve the murder of her friend in Christmas time? My twenty-second short read/listen from author Meredith Potts, Well-written & enjoyable. 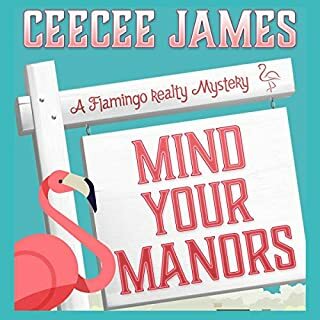 another cute, clean cozy mystery, the ninth in this series. I was given an Audible copy of this book & am voluntarily reviewing it. I was impressed and enjoyed the vocal variety & inflections of narrator Stephanie Quinn. I look forward to reading more in this series & from this author. (RIP Marley January 20, 2014 - July 24, 2018). Another great story. This time Hope is helping her brother Joe with the murder of her friend Nick.The story line i great and the characters are very likable. My only negative remark about this book is it is too short. I wish it was longer. The narrator did a good job as well. I look forward to the next book. I was gifted this book at my request in exchange for an honest review. This book made me miss Christmas! It’s a perfect short cozy set during the holiday season. It has a full story & well rounded plot, along with a brother/sister sleuthing duo! I really enjoy Meredith’s writing, and this book was no exception! Poor Hope, she can't enjoy the Holidays, can she? And it's a quick and easy 'read', so there is no excuse to not enjoy it. 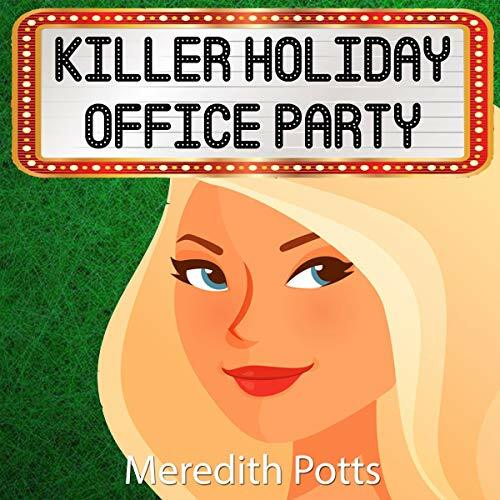 Killer Holiday Office Party was a great read by Meredith Potts. An advertising agency's holiday party turns bad when the owner of the company is murdered. Hope Hadley and her brother must find out who the killer is. I really enjoyed reading this book and can't wait to read more by Meredith Potts. 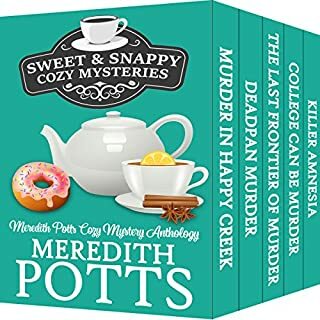 Killer Holiday Office Party by Meredith Potts, narrated by Stephanie Quinn is Book 9 in the Hope Hadley Cozy Mystery Series. Listening time is about 1 hour, 20 minutes - perfect length for those seeking out some "me-time," after putting the kids down for an afternoon nap. Although I would recommend reading the first couple books in this series first (to get an understanding of the characters and their backgrounds), it isn't entirely necessary. Each book in the series can stand alone and contains complete start-to-finish mysteries; there are no cliff hangers, and they can be read in any order. I have listened to all of the Hope Hadley audiobooks, and unless something has changed, it's important to note that there is a narrator change after the first few books. While both are pretty good, I enjoy listening to Stephanie Quinn more than the previous ones. 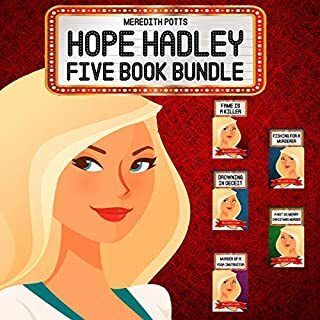 Therefore, if you are looking to give just one Hope Hadley book a try, make sure to choose one that she narrates. This, of course, is just personal preference. After the opening scene, which focuses on the characters' personal lives, the plot quickly advances to the murderous details of Killer Holiday Office Party. 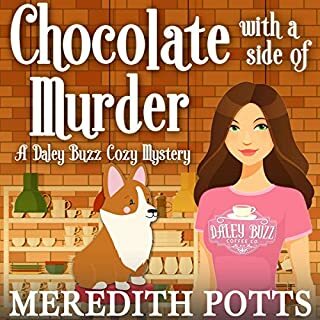 Author Meredith Potts wastes no time with the storyline, which I love. Hope Hadley and her police officer brother, Joe, examine the evidence, locate their suspects, and set on their journey to find justice for the vicitm. The one thing I never understand is why the two of them seem to always put themselves in harm's way by confronting the suspects at their homes or wherever they find them. Shouldn't they be taking them in for questioning? Idk...just a thought. :-) Hopefully, nothing crazy happens to this dynamic duo! Stephanie Quinn's performance is good. She has voices for each character and uses inflection to liven up the dialogue. I like that she gives Hope a more feminine feel, in comparison to the original narrator who portrayed Hope as an obnoxious valley girl, who was a bit "rough-around-the-edges." Everything sounds professionally edited and there are no issues with the recording. It was an easy listen. 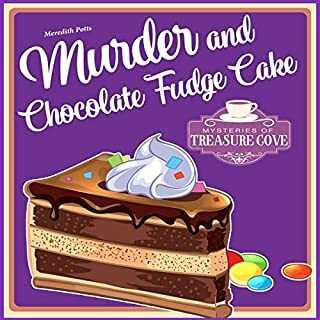 Killer Holiday Office Party: Hope Hadley Cozy Mystery Series, Book 9 by Meredith Potts, narrated by Stephanie Quinn gets my rating of 4/5 stars. 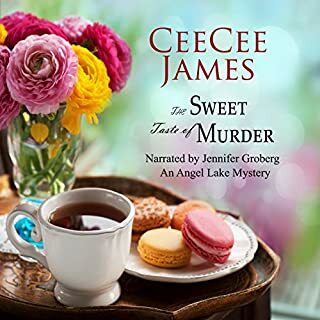 I recommend it to those who enjoy cozy mysteries or are looking for a short, yet complete, mystery from start to finish.